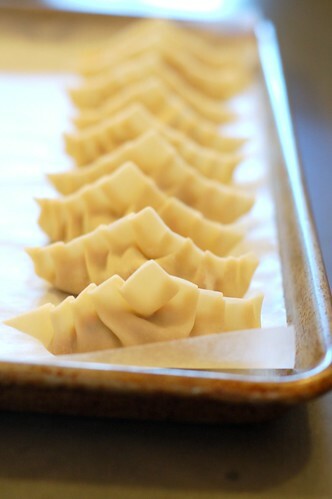 I love dumplings -- pierogies, momos, wontons, gyoza, kreplach, shu mei, mandu, manti... I am a fan of them all. I also love the idea of having a freezer full of this type of ready-to-cook goodies at my disposal. 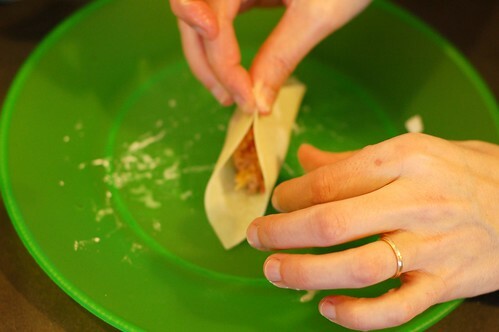 That is why I devoted half of last Sunday to making a boatload of pork and vegetable-filled pot stickers. Ain't they gorgeous? 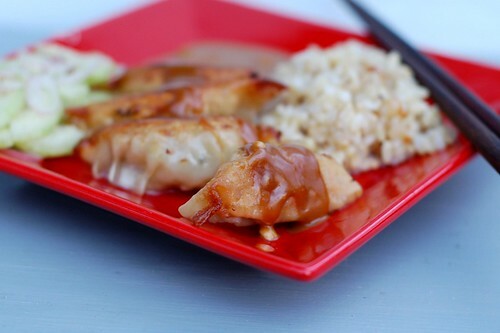 I served them with a peanut dipping sauce (I use the one from Deborah Madison's excellent book, Vegetarian Cooking for Everyone), brown rice, and a quick pickled cucumber sesame salad. 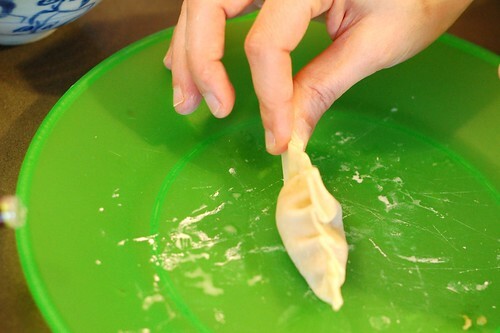 To be honest, by the end of the whole process, I was so tired that I did not want to even see another pot sticker for a long time... But that feeling has passed by now and I am thrilled to know that our chest freezer is bulging with three big bags full of these beauties. The process is pretty simple if a bit time-consuming and labor-intensive. 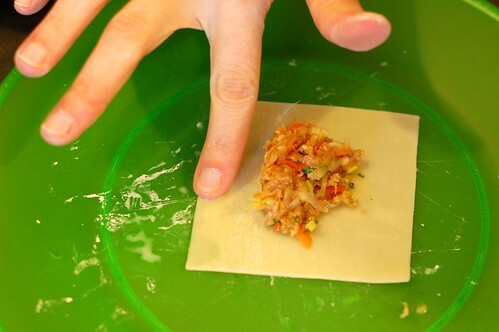 There's a lot of slicing and dicing to make the filling and then quite a lot of filling and crimping to put the dumplings together. Definitely way more fun with at least one other person and ideally, a couple of friends (you can divide up your haul at the end). I recommend using high-quality, organic ingredients. 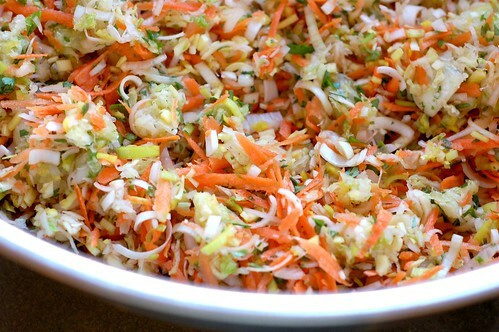 My filling was a mix of veggies -- Napa cabbage, carrots, cilantro, leeks, and garlic. But if eating flesh is not your bag, you could easily omit the meat and just use veggies - they'll still be totally delicious (and significantly cheaper than the version with meat.) In fact, next time I make these, I'm going all veggie - cheaper, healthier and a little bit easier. 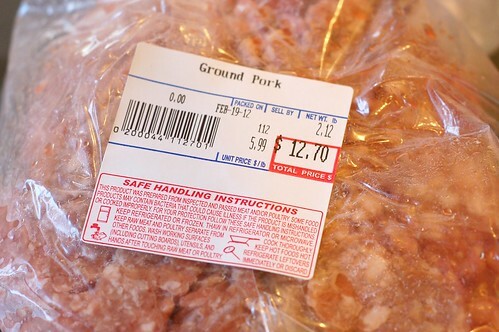 Or, if you do dig meat but are, say, an observant Jew, you can use ground beef, chicken or turkey in its place or substitute shrimp. 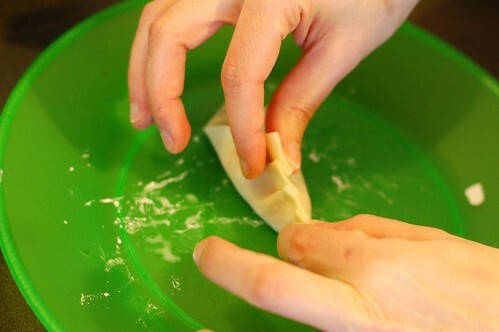 You can also make the dough for the dumpling wrappers yourself if you've got that kind of time on your hands and are feeling ambitious. 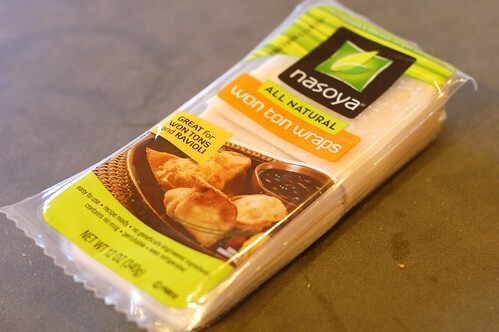 If not, you can just buy gyoza or wonton wrappers at an Asian foods or regular grocery store (I got mine at Hannaford's). Likewise, there's no real right or wrong way to wrap them. 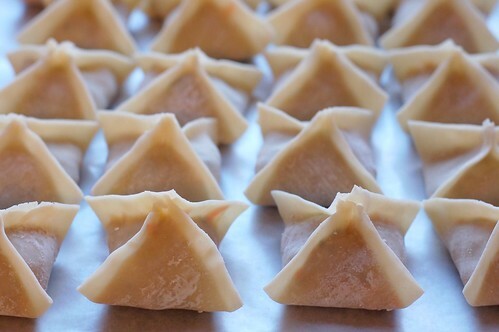 I went with the more traditional pot sticker crimping method while my husband preferred to wrap his up like little presents - I think they turned out pretty gorgeous, don't you? The recipe below is one I've adapted from several that I found online as well as the one I consulted in the Joy of Cooking. 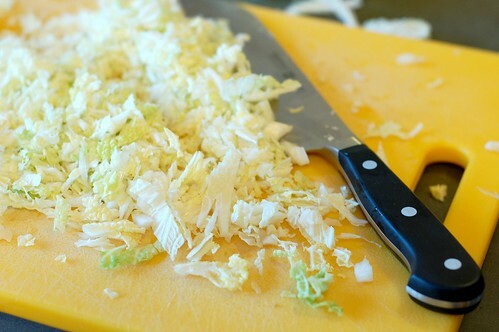 Slice or shred the Napa cabbage until no large pieces remain. 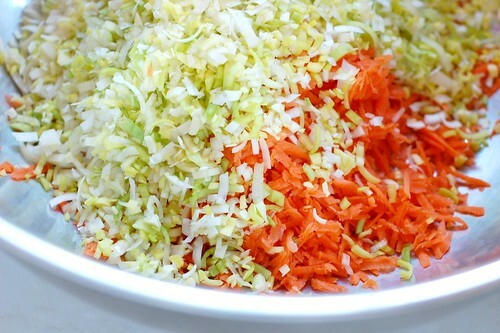 Place the shredded cabbage in a colander, sprinkle a whole lot of salt over it, then set it aside for 30 minutes while you prep the rest of the filling. 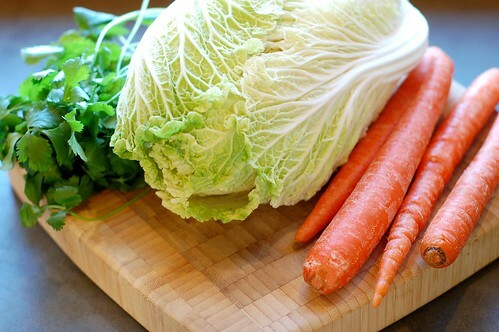 The salt will pull the water out of the cabbage so you want to give it time to work. At the end of 30 minutes, squeeze the remaining water out of the cabbage with your hands (you can also wrap it in a dishtowel or cheesecloth to really wring it out, if you prefer.) 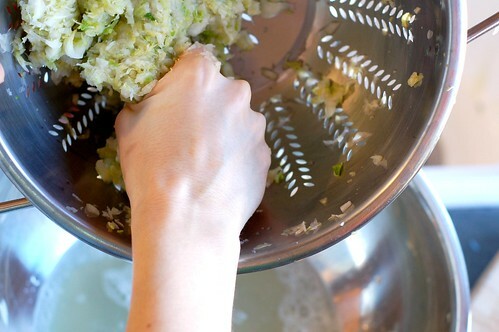 Discard the salty water and put the remaining cabbage in a large bowl. 2. Add the rest of the vegetables, herbs, garlic, ginger and the pork, sprinkle with the soy sauce, sesame oil, and cornstarch and stir well to combine. Set up a small bowl of water that you'll use to seal the wrappers with and set out a plate to do your wrapping on. 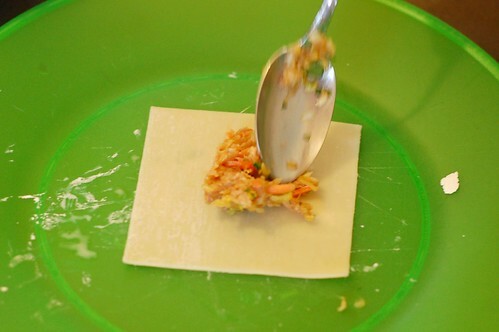 Put a dollop of filling in the center of the wrapper. Dip your finger in the bowl of water and wet along two (consecutive) edges of the wrapper. Pick up two opposite edges and pinch them together in the middle. Starting from that center point, crimp your way down one side of the wrapper. Then crimp your way down the other side, making sure you pinch tightly enough to really bond the edges of the wrapper together fully. Set them on a wax paper covered baking sheet as you finish them and cover with plastic wrap (or just a big plastic bag - even better!) 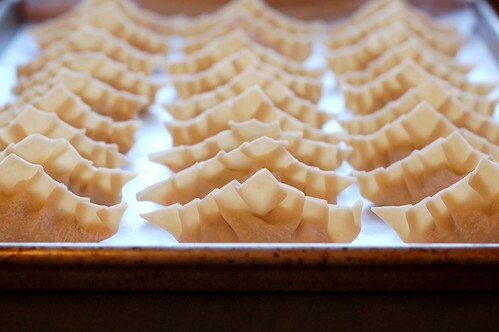 as you work to prevent the dumplings from drying out. Use right away or freeze on the cookie sheet and then place in a heavy-duty Ziploc and freeze for up to three months. 1. 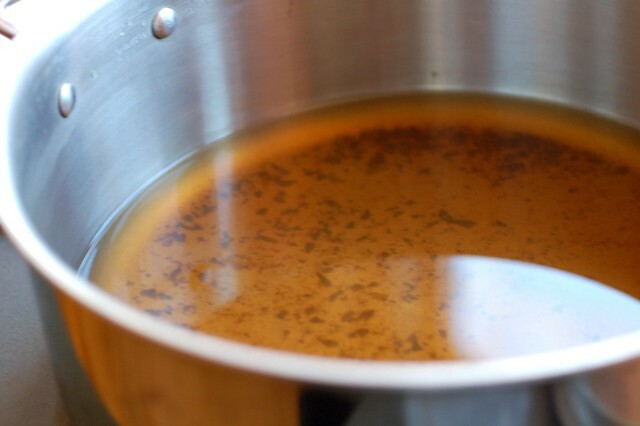 Heat 1 Tbsp of peanut oil in a frying pan over medium high flame until the oil is shimmering. 2. 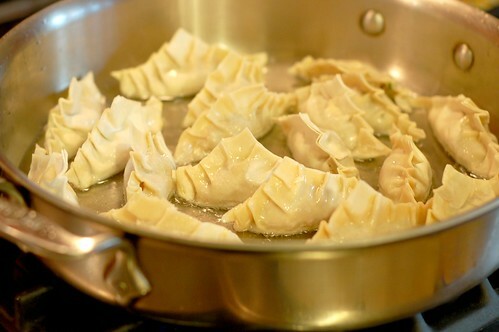 Place the pot stickers in the pan, flat-side down, they should not be touching. Fry them for 1-2 minutes until the bottoms are a light golden brown. 3. Add 1/4 cup of water and immediately cover with a tight-fitting lid. Reduce the heat to medium and let steam for 4 minutes. 4. Remove the lid and cook, uncovered for another 4 minutes or until all the water has evaporated. 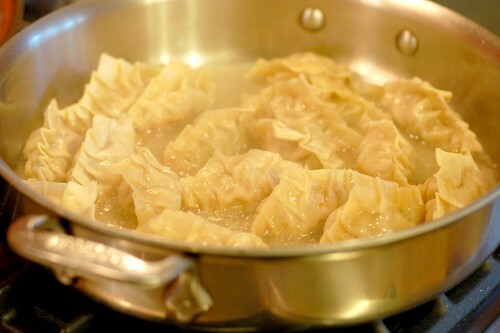 The bottom of the pot stickers should be nice and brown and the insides should be fully cooked - cut into one to make sure nothing is raw in there. If they need more time, add a bit more water and steam for a few more minutes with the cover on. 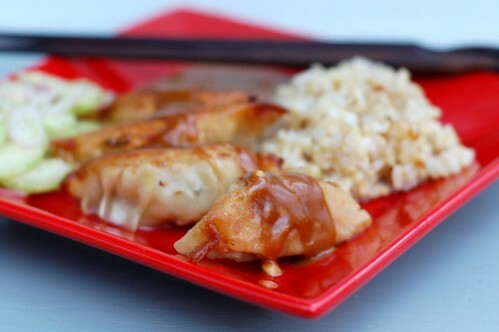 Then remove from the pan and serve with the dipping sauce. New Ramps Cookbook is Out! With MY Photo On The Cover! Forgive me this moment of shameless bragging. 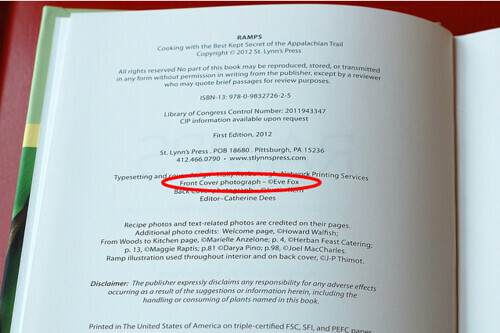 A lovely new ramps cookbook from St. Lynn's Press featuring MY photo on the cover is out. My copy arrived yesterday and I was thrilled not only to see my image but also by the fact that the book is really nice - great recipes and great info and resources for ramp lovers, ramp hunters and ramp growers. 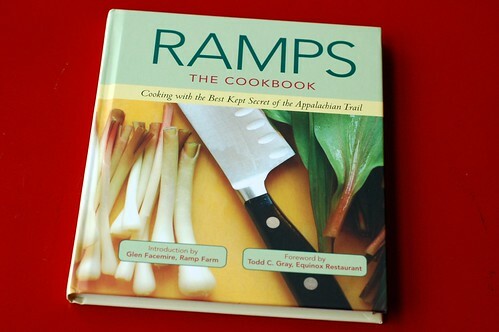 Check it out and order your copy of Ramps: Cooking with the Best Kept Secret of the Appalachian Trail today - ramp season is almost here! And stay tuned - more on the topic of ramps coming soon. Although I love making soup, it's always bothered me that making stock feels so wasteful. 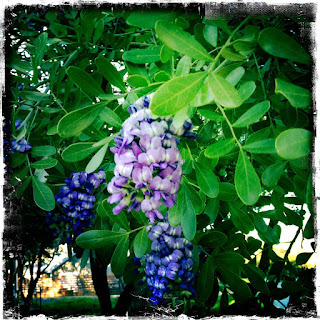 As the child of one of the world's thriftiest people (love you, mom! ), the idea of tossing a whole bunch of gorgeous carrots, celery, onions, and herbs into the pot, only to remove them all a little while later, replacing them with new veggies that would feature in the actual soup, has always rubbed me the wrong way. And buying cartons of stock is expensive and those cartons may or may not actually be recyclable (nevermind whether my garbage company actually recycles the stuff it claims to recycle...) so that was not really doing it for me either. 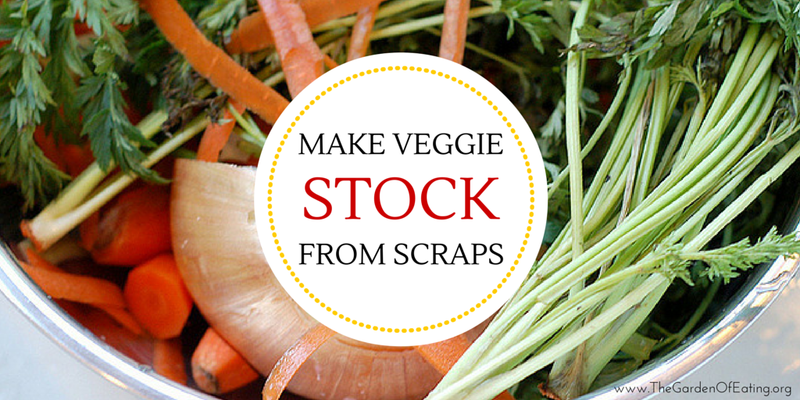 But then, a couple months ago, I saw a post on Facebook about making vegetable stock FROM KITCHEN SCRAPS!!!! My prayers had been answered. So I started saving some of the veggie scraps (more below on which ones are best to use and which ones you should avoid) that would otherwise have gone straight into the compost bucket. I stored them in one of this one-gallon Ziploc bags in my freezer. Since I like to cook and I like vegetables, they started piling up pretty quickly. 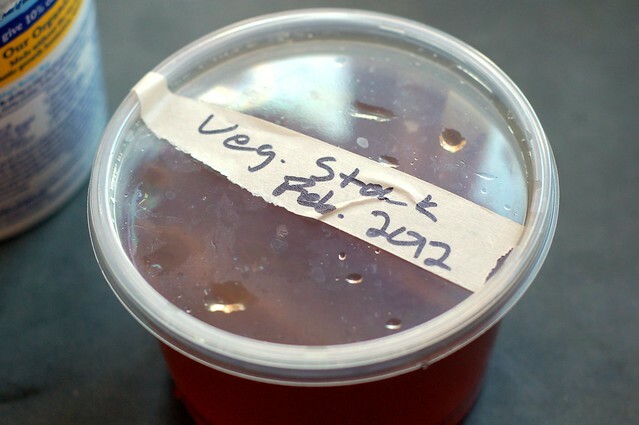 Then I followed the incredibly simple instructions (basically, cover them with water, bring to a boil and simmer for one hour, then strain) to make my own homemade vegetable stock. And guess what? It's good! It was easy. It was free. And absolutely no vegetables were wasted in its making. Once I was done with those scraps, they got tossed on the compost heap, too. Now we've got several containers of the stuff in our freezer, waiting for the next time we want to make some delicious soup. We also did an ice cube tray or two as it's great to have some smaller units of stock on hand if you just need to de-glaze a pan or add a little bit of liquid to something but don't want to go whole hog and defrost an entire yogurt container (those are our freezing containers of choice for bigger, liquid-y stuff) of the stuff. The only thing I plan to change is omitting onion skins as I think I might prefer a clearer-looking stock - onion skins add nice flavor but also darken the color considerably. This is totally up to you, though. So get scrappy and then get simmering! Once you're fully stocked, I've got a short list of delicious soups you might want to try your stock on at the bottom of this post. 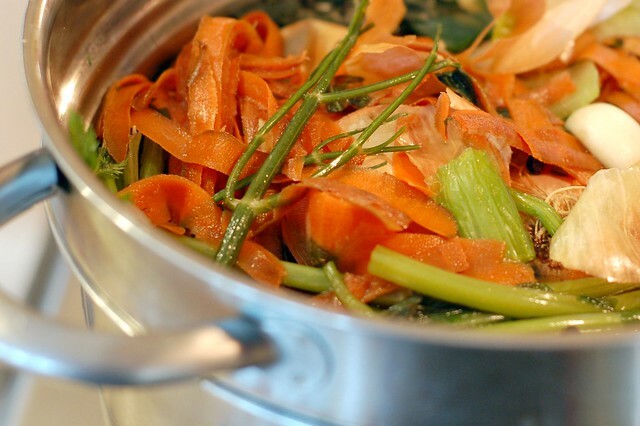 Onions, carrots, and celery form the backbone of veggie stock, but don't stop there! Lots of other veggies add sweetness and flavor: leeks, scallions, garlic, onions (see my note below), fennel, chard, lettuce, potatoes, parsnips, green beans, pea pods, zucchini and other squash, bell peppers, eggplant, mushrooms, asparagus, corn cobs (think sweet! ), winter squash skins, beet greens, and herbs like dill, thyme, parsley, cilantro and basil. You can use anything that is beginning to lose its luster but steer clear of anything that has actually gone bad, of course. These vegetables tend to overpower the stock flavor-wise (and some of them turn a bit bitter) so you may want to dump them directly on the compost heap, instead: cabbage, Brussels sprouts, broccoli, cauliflower, turnips, rutabagas, artichokes. And skip anything rotten or moldy. You can use beet root scraps and onion skins but just be aware that they will make your stock either a deep red or a deep brown so you may want to skip them. I plan to skip 'em in the future. 2. Cover it all with cold water then bring it to a boil. Lower the heat to medium and simmer uncovered for about an hour. Any more than an hour and the flavor will begin to deteriorate. 3. Strain vegetables using a fine mesh strainer or a colander and giving them a press to make sure you get all the broth. Quick tip: I made mine in my steamer pot from Ikea which made the straining incredibly easy since all the veggies were in the steamer insert and I just lifted it out of the pot once it was done. 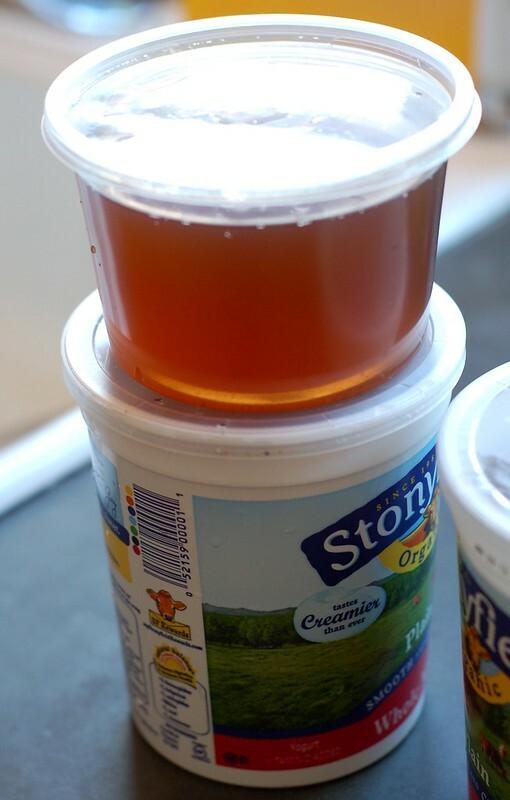 Let cool then pour into glass jars, clean yogurt containers or freezer bags. 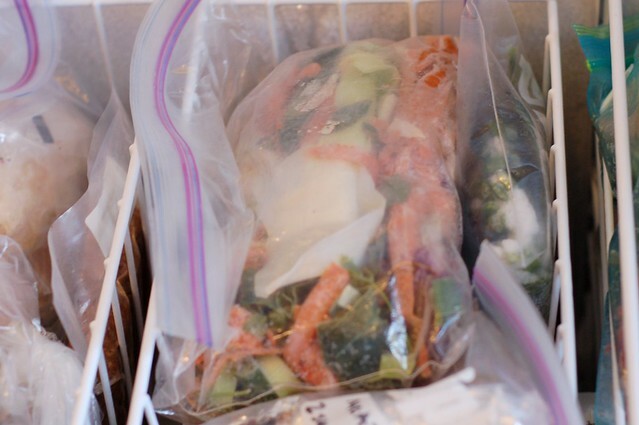 Let cool completely in the fridge and then freeze or store for up to five days in the fridge. Howdy y'all. I'm just back from Austin, TX where I ate what has to be the world's best cupcake - the James Brown (you guessed it -- a chocolate cupcake with chocolate buttercream frosting) at Sugar Mama's Bakeshop on South 1st Street. If you're ever in Austin for SxSW or any other reason, I recommend making a quick stop to sample Sugar Mama's goodies. When I get home, I saw that Saveur has started accepting nominations for its 2012 Best Food Blogs Awards. I didn't win last year but that doesn't mean I can't win this year! That's where YOU come in... Will you take two minutes (if that) to nominate me? 1. 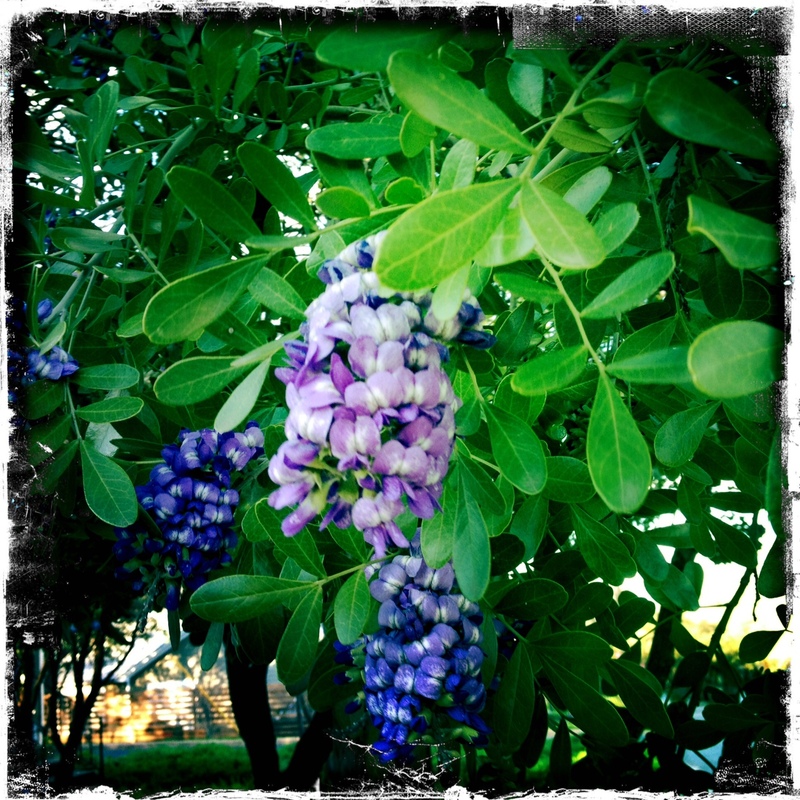 Go to this page: http://www.saveur.com/food-blog-awards/nominations.jsp and enter my blog's URL (http://www.gardenofeatingblog.com) in the URL section. 6. Un-check the three boxes unless you want to get those emails. And then click "Submit". That's all! Thank you in advance. My boys and I are in Austin, TX for a little visit with our super fun bro- and sis-in-law and my mom and dad-in-law (who are also quite fun.) 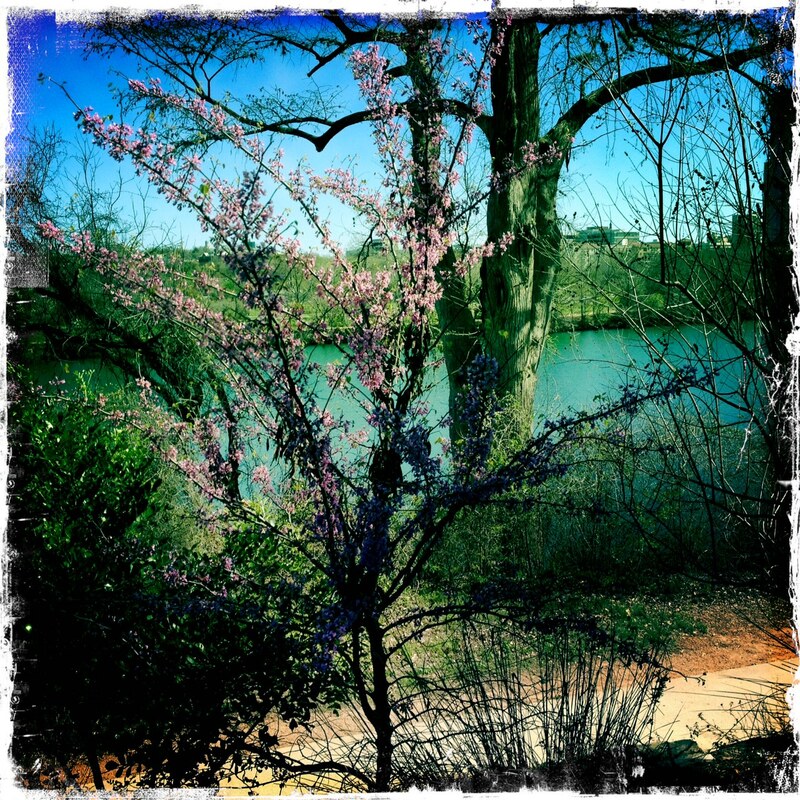 We sure picked a good weekend to come -- the weather has been the kind of perfect spring that comes but once a year and all too briefly. Brilliant, cloudless blue skies, warm sun, cool breezes. Unfortunately, spring has not sprung in upstate New York. At least it hadn't by the time we left -- in fact, we headed out on the heels of a two-day snow-sleet-ice-rain storm. Perhaps that is why I was seized by a desire to make egg salad - which I consider to be a sort of culinary harbinger of spring - in the midst of the white stuff falling from the sky a few days ago. I had some fresh dill and some celery left over from making chicken soup for a friend who's been sick for what seems like forever, the poor thing. 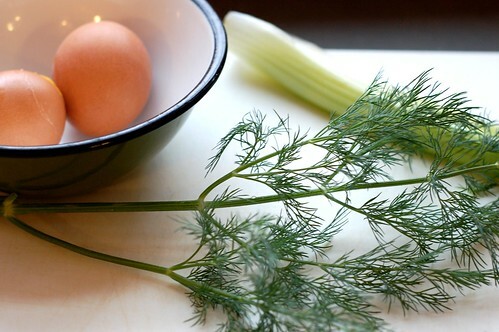 There's something so incredibly spring-like about fresh dill - the fresh, light flavor, the tender, feathery, green fronds. And I had some hard-boiled eggs hanging out in the fridge, including one kinda funny-looking one that started out as a failed soft-boiled egg. I've been making a lot of Grandpa Joe's eggs for breakfast lately and sometimes the egg just "cracks up" (pun intended) when it hits the boiling water, even though I coddle it by easing it in with a slotted spoon. I usually just hard-boil these unfortunate souls which end up looking rather unique. 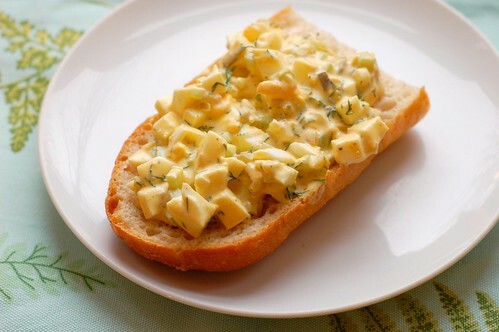 So I mixed up this simple and dee-li-cious egg salad. It's a much more classic interpretation than I typically make but it was a hit with me and the husband. 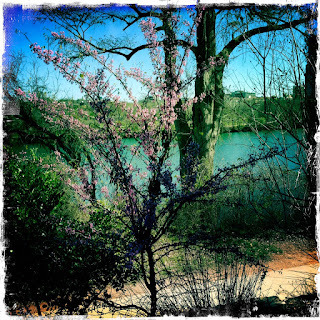 Happy (almost) spring to you all. 1. 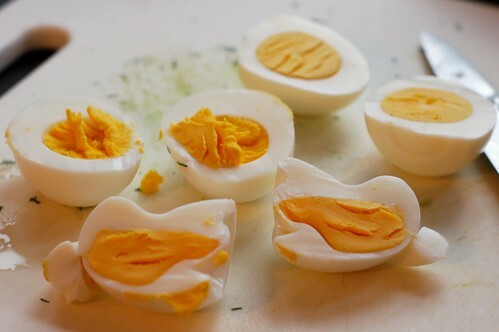 Cut the eggs in half length-wise. 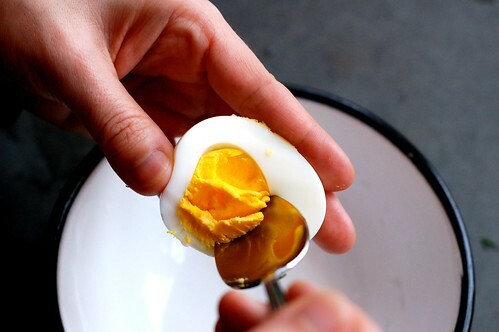 Scoop the yolks out into a bowl and mash with a fork. Add the mayo, mustard, relish, salt and pepper and mix to combine. 2. 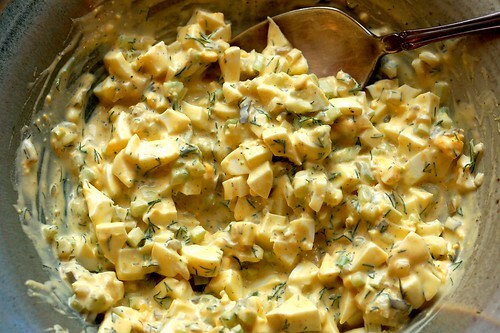 Chop the egg whites into cubes/squares and place them in a bowl along with the celery and onions. Add the yolk-mayo-etc., mixture and mix well. 3. Taste and adjust salt, pepper, etc., to taste. Serve on bread, crackers or a bed of lettuce.